The 2008 city to city migration numbers are not as strong as 2007 but people are still relocating and the Charlotte Metro (includes Fort Mill SC) area is ranked 3rd according to a Forbes article. Local Tega Cay friends recently pointed out a story to us that Lauren Sherman at Forbes published an article at the end of March titled “Ten Cities Where Americans Are Relocating”. The Forbes article ranked Charlotte 3rd most popular. 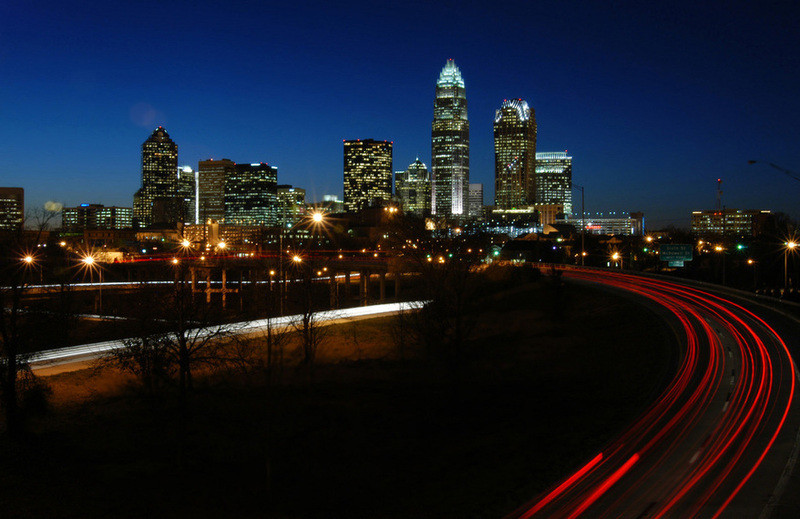 I reported in March Charlotte Ranked the 7th fastest growing cities. So whats the difference? We both used the US Census Bureau’s March 19th 2008 data. Forbes compared the 2008 population estimates to the previous year’s data to see which areas had grown the most, percentage-wise and so did I.? The difference is the Forbes article focused on cities over a million in population. The Charlotte metro are includes Fort Mill, Tega Cay, Lake Wylie, Rock Hill, all of York County SC. Of course I am somewhat biased but if you’re looking? for some of the best areas to live within the Charlotte metro area I would recommend the Fort Mill, Tega Cay, Lake Wylie area. If you are considering to relocate to the Charlotte area, contact Carmen for more information about the Fort Mill SC area which is just a few miles south of Charlotte. Carmen, San Diego was one of the fastest growing cities at one time. Charolette is an absolutely beautiful city and the people are really awesome! I bet the Charlette Real Estate Market is still going strong! If you ever have any Real Estate Clients for San Diego or Tulsa I would really appreciate the opportunity! I guess taxes is a big issue, such as property taxes. I have a friend who has moved to your area and brags that his taxes are under $1000.00. By us that would be incredible. San Diego is a great place to live and now is a great time to buy id you are in position to take advantage of the market today. Very low interest rates and a pull back in the market makes today a great time to buy in San Diego. Downtown Charlotte during nightfall sure looks beautiful and inviting! Wow, according to that list, the south and the coasts are a popular relocation destination. Can’t say I am all that shocked. Had a chance to visit Charlotte last year on a business trip and it was very impressive. Very clean city and had a very friendly feel to it looking forward to getting back to visit when I have more time to explore. You can certainly see that folks are moving south. Charlotte looks like a nice city. I would love to move to SC. On a visit I realized how nice it was. I had not heard of Fort Mill but it seems like a great alternative to living right in the city. I love the Charlotte area and put it on my top 10 places to move if I could. How is the growth doing as of recent? Thanks. Such a great article giving some great information genuinely explaining some of the key things which you need to be aware of in particular about the part relating to getting some couseling prior to getting an injury lawyer, so many people don’t even consider it. That’s is really a surprising article I have found. It means that the price of the land and property in that area will surge.Good time to invest in real estate in that area. Hi Carmen we have some clients that maybe moving to Charlotte next year, the city looks amazing. I send them a link to your blog, best of luck. There are certainly a whole lot of details like that to take into consideration. That may be a nice level to deliver up. I supply the ideas above as common inspiration but clearly there are questions like the one you convey up the place a very powerful thing might be working in honest good faith. I don?t know if finest practices have emerged round things like that, however I’m positive that your job is clearly recognized as a good game. Each girls and boys feel the impression of only a second?s pleasure, for the remainder of their lives. My business is very impressed with the articles against your site. I get numerous ideas to help me personally. My business is very impressed with the articles with your site. I get lots of ideas to help my home. Hiya very nice site!! Guy .. Beautiful .. Wonderful .. I’ll bookmark your website and take the feeds also…I am satisfied to find numerous useful info here in the publish, we want work out more techniques on this regard, thanks for sharing. Houston? Why would Houston appear on any list? Have you ever been to Houston in the summer? It’s miserable. Hi Carmen, the city looks very enticing at night. I have some friends planning to move to Charlotte this year. From the looks of it, I think they won’t regret it.